Photo by Niall Kennedy on Flickr. 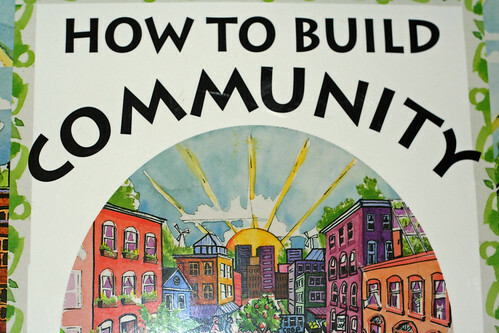 The happy end result of most ‘community building’ processes is an army of advocates. These enthusiasts recruit new members, keep the community healthy and lively, take responsibility for its daily operations and – if you’re lucky – attract funding and publicity. The advocate – or enthusiast – in a well-designed project is the pinnacle of the community building efforts. It might take years for an army of advocates to develop. I call these advocates the “raised advocate”, as they’re raised by the community. Because of their PR strength and their potential to attract new members to communities, people have been trying to start communities with some advocates already in place. Often, these people are paid in money (think Hollywood actors) or rewards (iPads are popular) for advocate-like behaviour. There’s no denying the strength of Angelina Jolie or Al Gore promoting your cause, but in online projects and new media minded settings, I’ve seen and experienced some challenges with “bought advocates”. Most online community models are shown as a pyramid. At the base, your total reach; at the top, your advocates. Usually such a model assumes something like: of every hundred people we can get to participate, one will become an advocate. There’s nothing wrong with these models (although I believe they’re circular rather than triangular), but there’s something wrong with the reverse assumption: for every advocate we buy, another hundred people will participate. A raised advocate is the result of a well-designed community building process. She can only exist because she first participated, became enthusiastic, was empowered, etc. A bought advocate is just a great PR tool, and no guarantee whatsoever about participation. Once all the iPads are gone, how are you going to encourage people to share your content? Imagine you buy some advocates to write a story for your crowdsourced project. You put these on your homepage to encourage ordinary mortals to contribute their story as well. The names of your advocates are well known. Their fansites write about the project. You expect many normal people to follow your advocates’ example. I’ve experienced this, and heard this from others: people find it awkward to contribute alongside VIPs. How can their story ever be as interesting as that of such a well-known person. And they are right: it’s why Steve Jobs’ biography sells millions, and mine won’t. I don’t trust Bono. How can a man this rich and this full of himself ever honestly care about poverty and hunger? If Bono is connected to a community, I will most probably never join it, regardless of the quality of the community. A raised advocate comes from the community. She has earned her credits cleaning up the mess, keeping it alive, doing all sorts of things. Even when you’re new to a community, you recognize the raised advocates because of the respect other members have for them. They are special because of what they have done, not because of who they are. No bought advocate will ever have this credibility. The good news is that you don’t necessarily have to buy advocates to kickstart your community, or wait for years before some advocates emerge by themselves. There’s a third option: connect with raised advocates from other communities, or those who are, temporarily, without a community to advocate. For virtually any cause imaginable there’re enthusiastic people doing valuable work already. Internet has made it easy to find these people, although they might very well be hiding out in your local community centre or library, far away from Facebook. The key thing is, you shouldn’t try to buy them. You should genuinely connect with them, earn their trust, build a relationship, invite them to co-creation, really add value and above all never let them down. This takes time, and effort, but hardly more than the process of buying advocates, and if your successful you do not only get a credible and experienced advocate, but also part of their own community as a bonus.